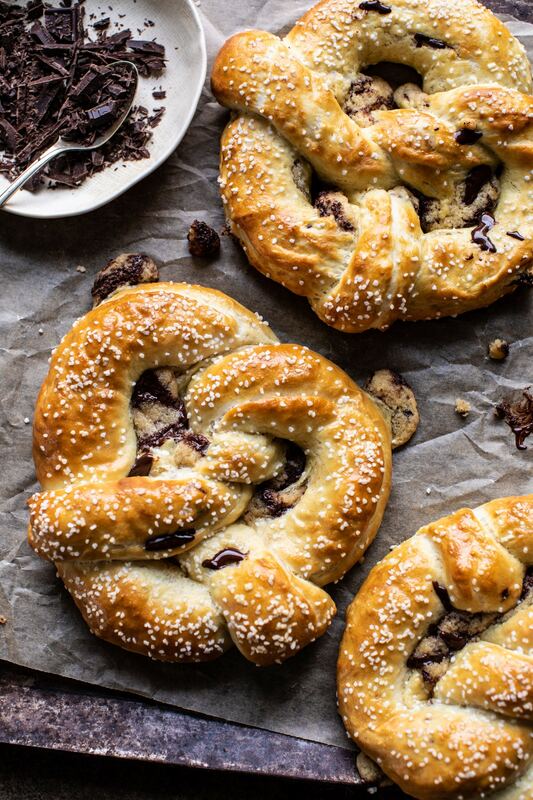 Successfully saved Chocolate Chip Cookie Stuffed Soft Pretzels to your Calendar. You can also save the ingredients to your Grocery List. Homemade soft pretzel dough, stuffed with homemade chocolate chip cookie dough, shaped into pretzels, and baked until golden on the outside, and soft and gooey inside.